I was first introduced to Lifeway Kefir Lowfat Probiotic Cultured Milk at my parents house a few weeks ago. I became intrigued with this refreshingly smooth and tart drink. I asked my Mom about it and she told me she prefers this in her morning smoothies. 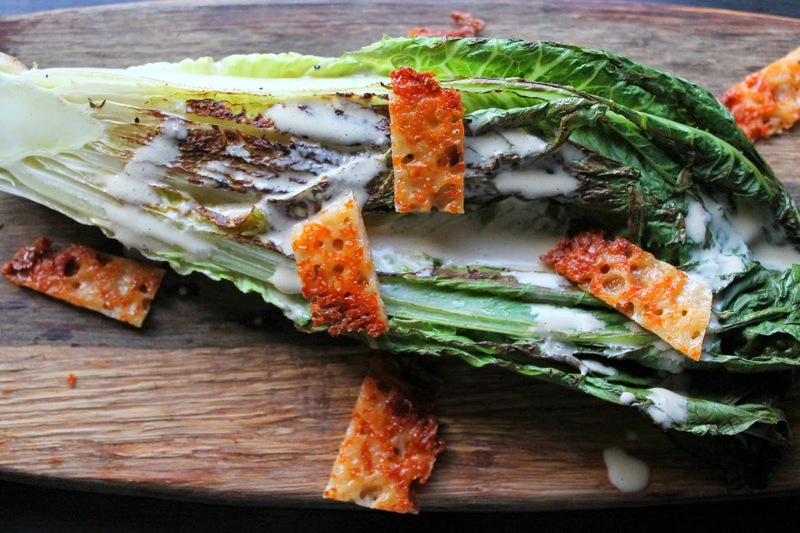 I frequently make my own salad dressings and one I cannot perfect is Cesar dressing. So I decided to take Lifeway Kefir, the 2000 year old cousin of yogurt, and make Cesar salad dressing with it. This is an egg-free dressing and it came out close to perfect - the only thing I will change next time is thickening it up a bit. Lifeway Kefir is Gluten Free, 99% Lactose Free and contains no artificial sweeteners. It's 12 active Probiotic cultures support the immune system and balance digestive health.Lifeway also only uses milk that comes from cows that are not treated with pesticides, antibiotics, or synthetic growth hormones. The cows are grass fed and GMO free. 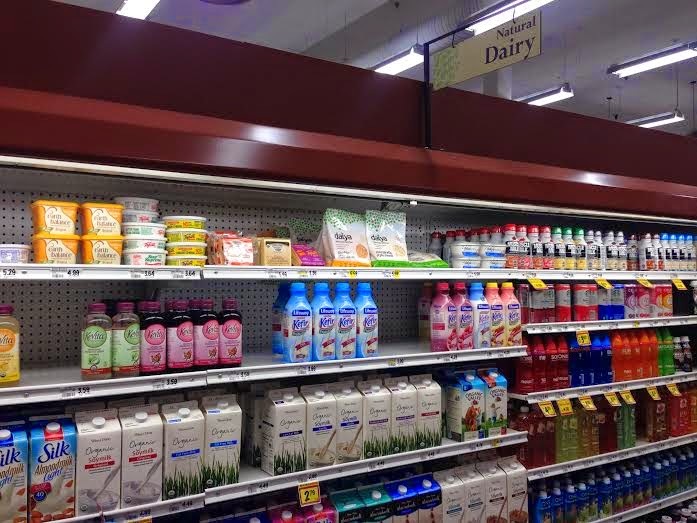 I found Lifeway Kefir at Winn-Dixie in Tampa, FL in the Natural Dairy aisle. I did have to ask a store associate for help locating the product - as I naturally went to the regular dairy aisle. Many stores carry this - so if you cannot locate it, ask someone for help. You can sign up for Lifeway Kefir coupons by clicking here. Place the first 9 ingredients into a blender and whip at high speed until thickened (it is best to use a blender with a dressing feature). Refrigerate for 30 minutes. 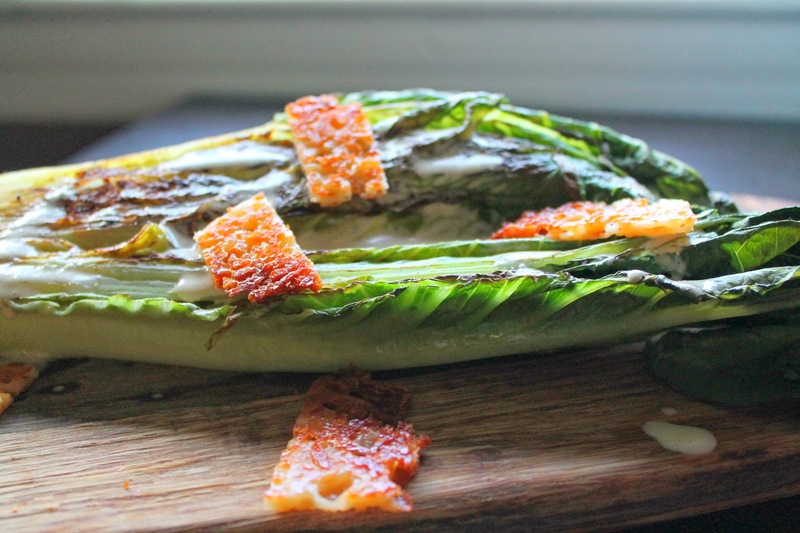 Grill the romaine - I used a cast iron skillet over medium heat and eyeballed it until browned. 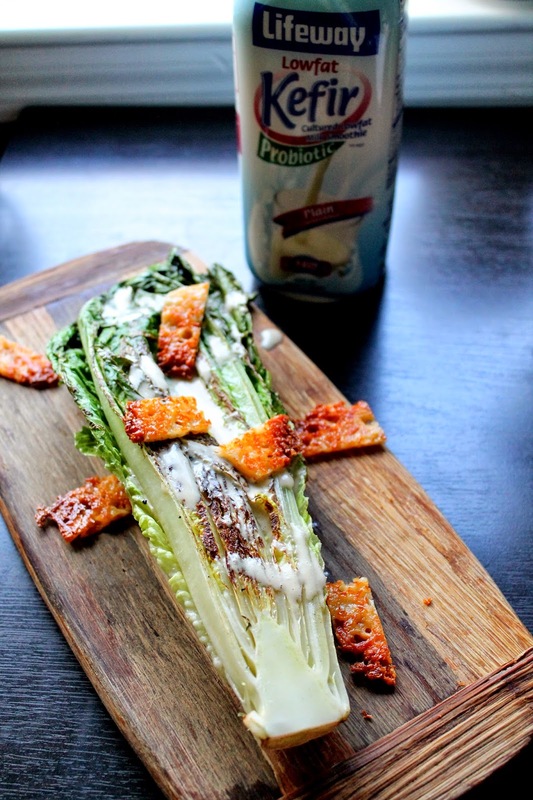 Top with Parmesan crisps and Cesar dressing. 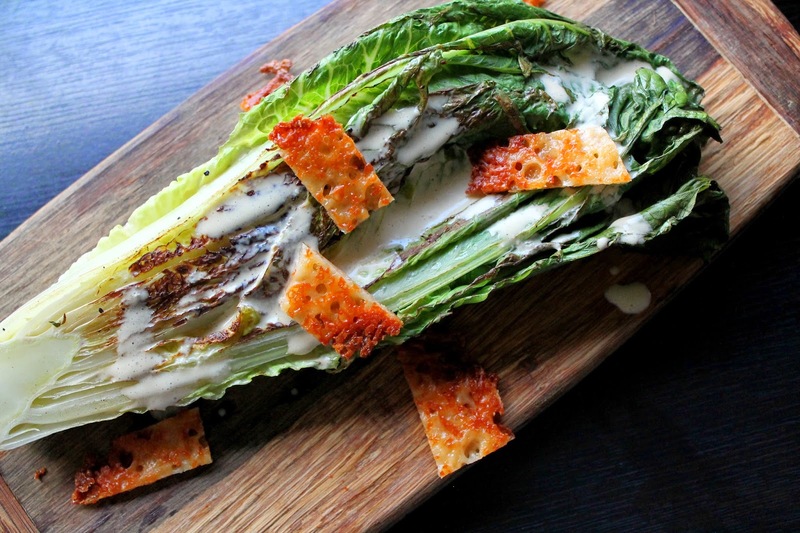 I absolutely love grilled romaine salads - I really need to try making them at home for myself!